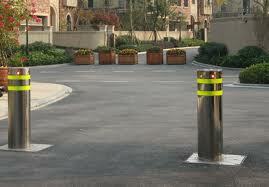 Controlling vehicular and pedestrian access can have many benefits to a wide range of environments. Whether you are wanting to automate your garage door or restrict and monitor access in to or out of an area, Lynx Electrical and Security offer solutions for all shapes and sizes of door, gateway, barrier or vehicle. Types of automatic access control systems which Lynx Electrical and Security install are as follows: rising bollards, raising arm barriers, swing arm barriers, raising road blocks, automatic sliding gates, automatic swing arm gates and doors and up and over doors. We can also adapt existing non automatic installations such as raising or swing arm barriers and sliding or swing arm gates and doors to be fully automated. 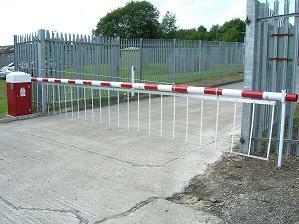 Various safety features are available which can be tailored to your requirements of operation and level of security. Some of these include fail safe technology which enables the barrier, gate or door to be manually operated to its open position in the event of a power failure, inductive loops or infra red sensors to prevent a barrier colliding with a vehicle or pedestrian. We also offer UPS (Uninterupted Power Supply) systems to enable the system to maintain fully functional in the event of a power failure. Automated doors, gates and barriers can operate via a number of ways again depending on your requirements of operation and level of security. Inductive loop: An inductive loop in installed into the road which will open the barrier or gate when a vehicle approaches. Manned gate houses: A simple open and close button assembly is installed inside the gatehouse for the guard to operate on satisfaction that the vehicle has permitted access. 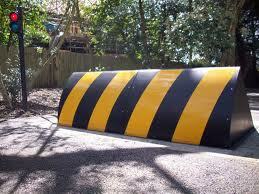 More secure methods of operating the barrier are available if required e.g. requires a key to operate access button etc. Access control systems: Automated access control systems can utilise PIN entry keypads, proximity tokens and readers, swipe cards and sophisticated biometric recognition devices to create a stand alone access control systems or as part of a larger existing access control system. ANPR: Automatic numberplate recognition cameras can be used as a means of allowing vehicles access through a gateway. Only vehicles with a permitted numberplate will be granted access. Radio transmitters: A remote keyfob which uses radio frequencies to activate the barrier control system. Various types and styles of keyfob are available which can be programmed to operate a single entry point or several entry points via separate buttons on the fob. Vehicle tags: A vehicle tag works in a similar way to a radio transmitter however the barrier does not require the driver to activate a fob. Instead the barrier will open when the vehicle is within a certain proximity and close when the vehicle has passed through. Issued tokens: A token is issued by the controller of the system which when inserted into the token receiver, opens the entry point to allow passage.